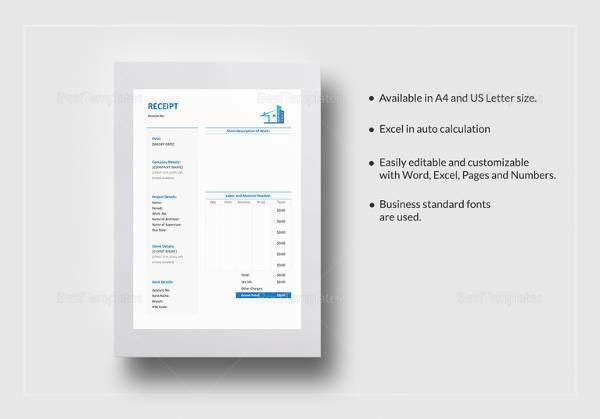 Receipt templates make working easy, as you get a readymade design to start styling your receipt. The organization or business can completely depend on the template style for the perfection, accuracy, and a universal format. 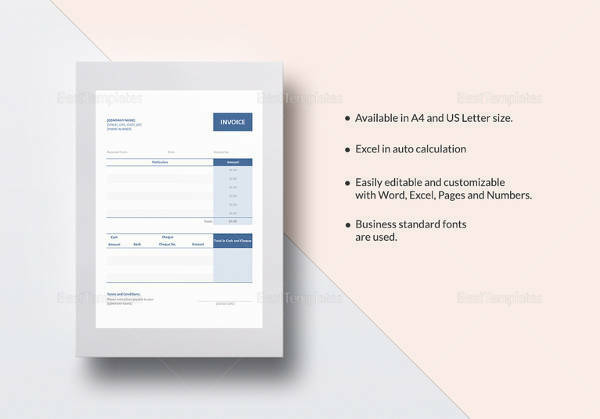 If you are looking for standard styling and some nice designs for the receipt of your startup, you should go through the possibilities by searching templates first. If you get a good one, you won’t have to give in more effort and time on designing another receipt from the scratch. Get ideas by following relevant internal link anchor text you get in template sites. You May also See Blank Receipt Templates. 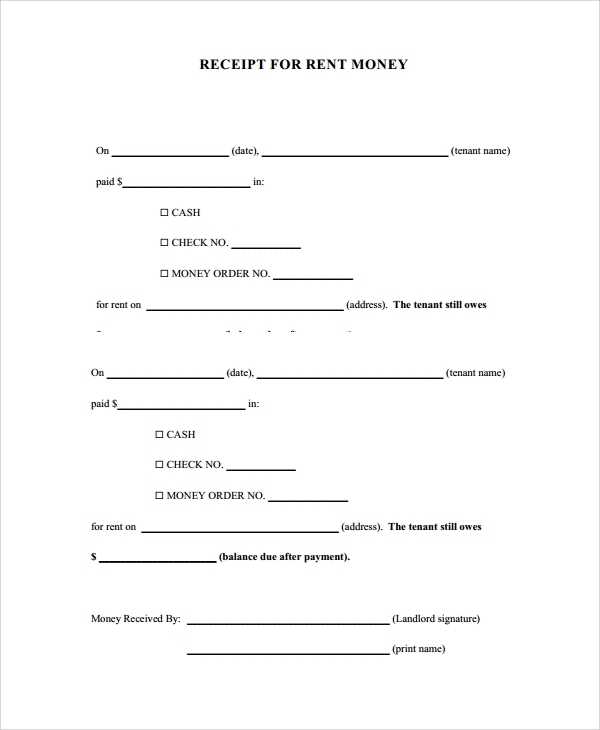 The acknowledgment receipt template is a smart and standard template format to acknowledge the payment of an amount. These are used mostly in case of a temporary receipt issuance, where after a certificate or another item of purchase is used the receipt doesn’t have much value. This is just a form of recognizing the payment for the time being. The hotel accommodation receipt is for hotel use specifically. 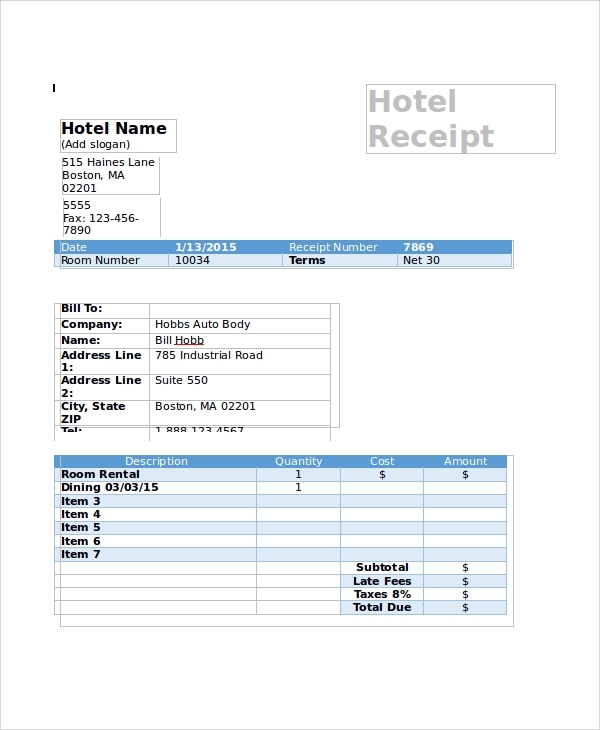 If you are running a hotel, you can simply use this receipt format to give your customers the proof of payment. 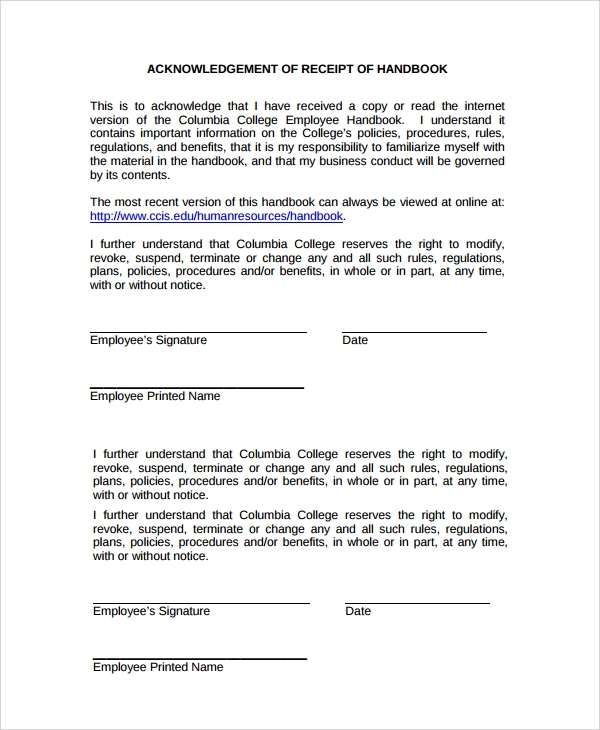 This will ensure them that they got a proof of payment, and a copy of this retained on your records will tell you the same. 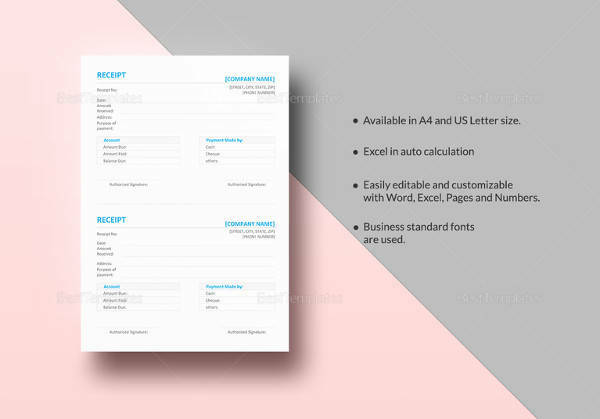 The blank receipt template is one of the most flexible forms of receipt templates. You simply mold it in any way and add fields to make it into any organization’s receipt. That is how you make the best use of this. 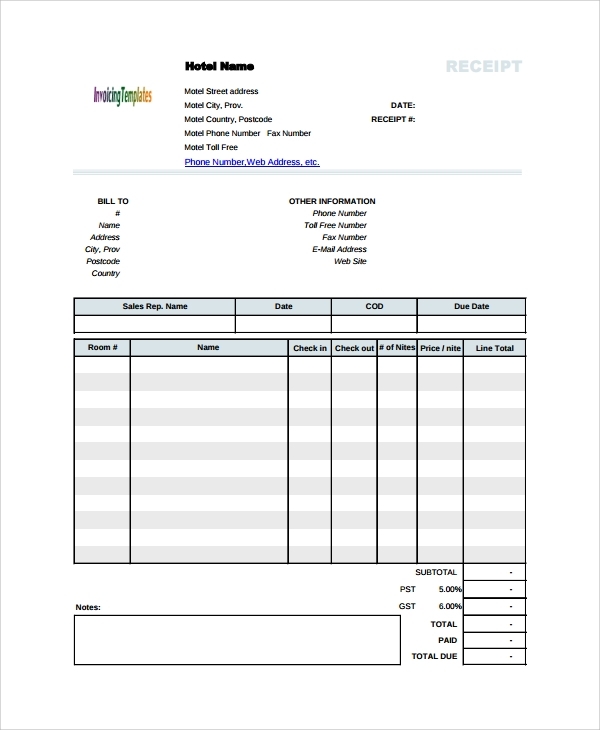 The business receipt template is one specific format for businesses. Now you may have a business in any industry or domain. And customizing the template as per that is in your hands. But this gives you a ready format, universally usable for businesses. A basic receipt template is just a short form, where not many fields are entered to complicate things. This is for basic usage or minimal usage just to specify in a simple format, the date, time, name and amount. You may use this for any simple purpose again. 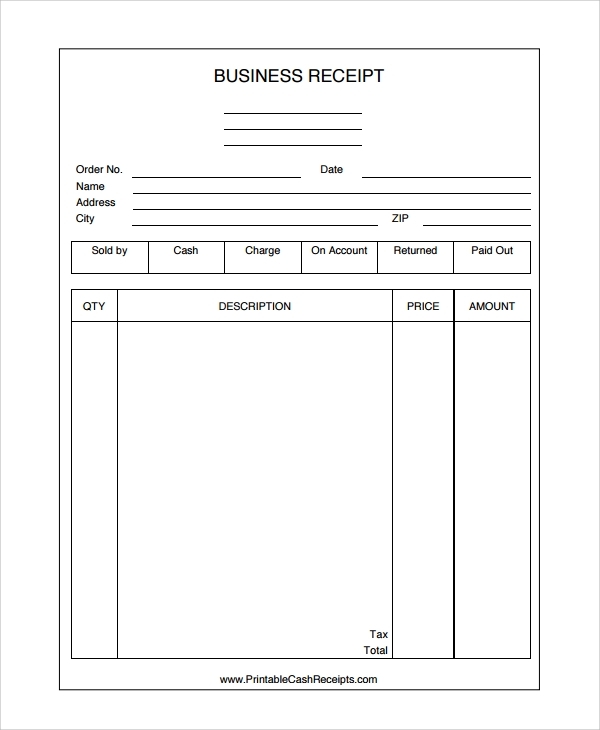 The bill receipt template is a simple format, which is both an invoice format and a bill system. You may use it in versatile ways to acknowledge payments. 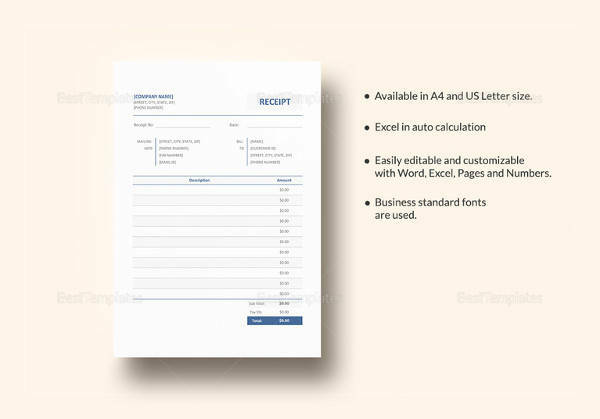 Any organization or shop or business may make a smart use of this simple format, which is made in a billing style. 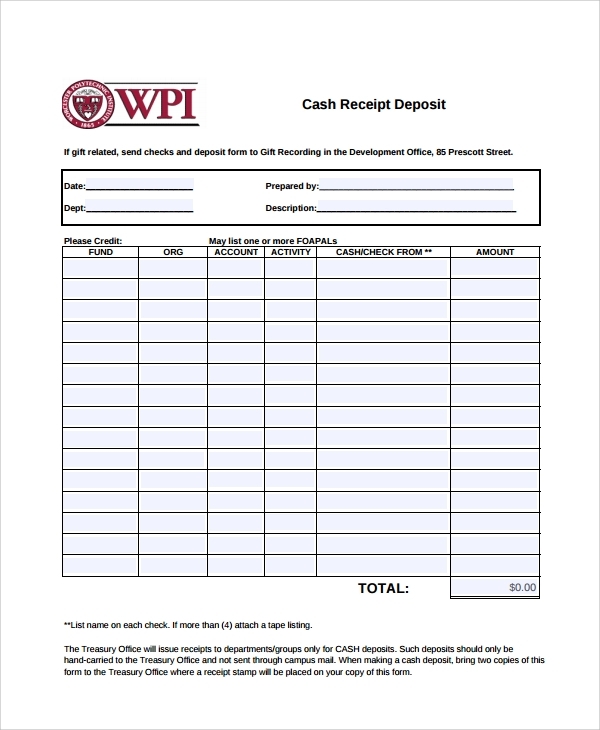 The cash receipt template is for stating that you received the cash. This is specifically made for cash transactions, and the name, amount, and the purpose are simple fields in it. The cash receipt templates are used in places like shops, banks etc where daily cash transactions are done. 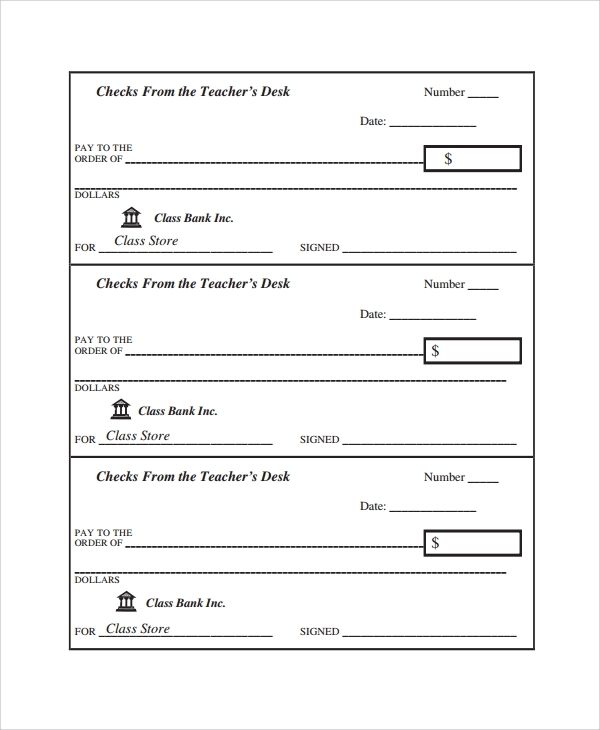 The cheque receipt template, as the name suggests is a simple format, which acknowledges payment through a cheque. This must have fields that specify technique particulars, like cheque no, issuing bank and branch, payable at, etc. 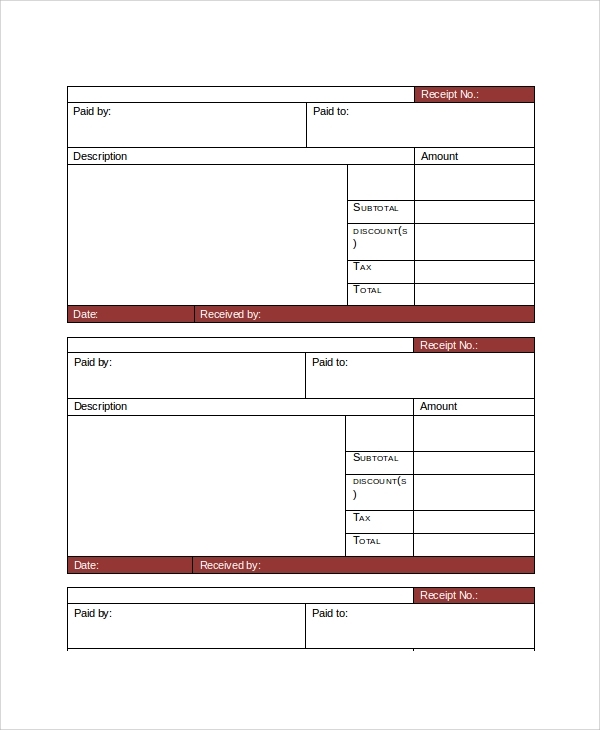 The delivery receipt template is another format, where you acknowledge the delivery of an item against the payment of cash or cheque or other forms of payment. This is not directly about payment, but rather about delivering the item or service against the payment. 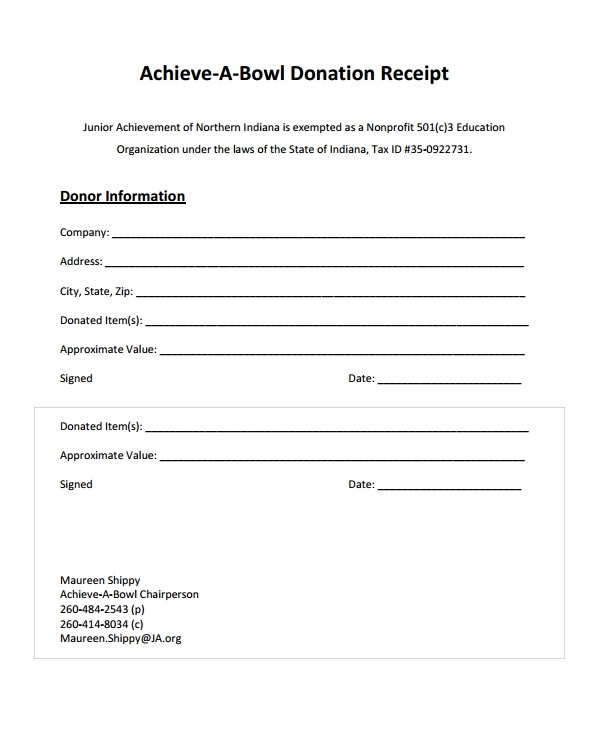 The donation receipt template is for acknowledging the donation received. This in most cases is used by educational institutions, churches and religious centers, non-profits, charities, orphanages, hospitals and medical centers etc which run on public donation. The deposit receipt is used in financial institutions, where they would acknowledge the deposit of an amount. You may deposit in a savings or current account, an FD or recurring, or for a demand draft issuing. All forms of deposits and insurance premiums etc is acknowledged through this format. 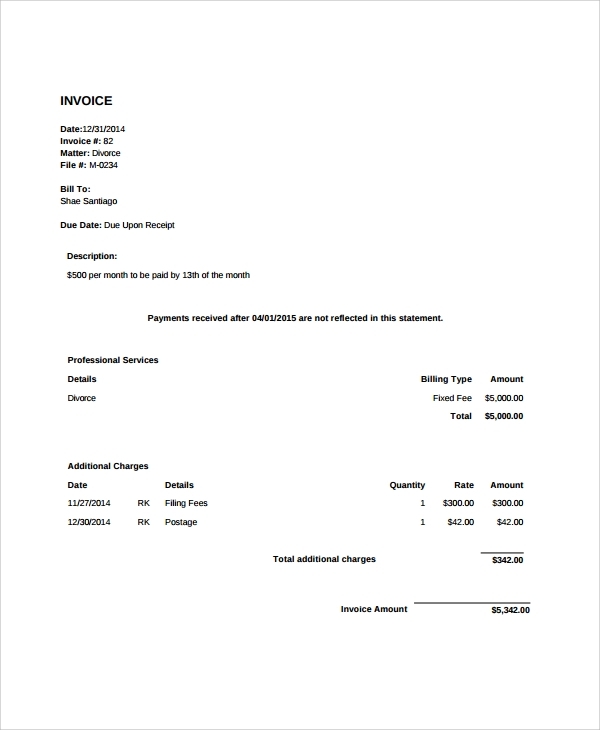 The email receipt template is another format where you acknowledge the receipt of payment through an email. This format may be enclosed with the email, or may be pasted onto the email body. In any ways, it electronically acts as the proof of payment with a digital signature and particulars of an organization. 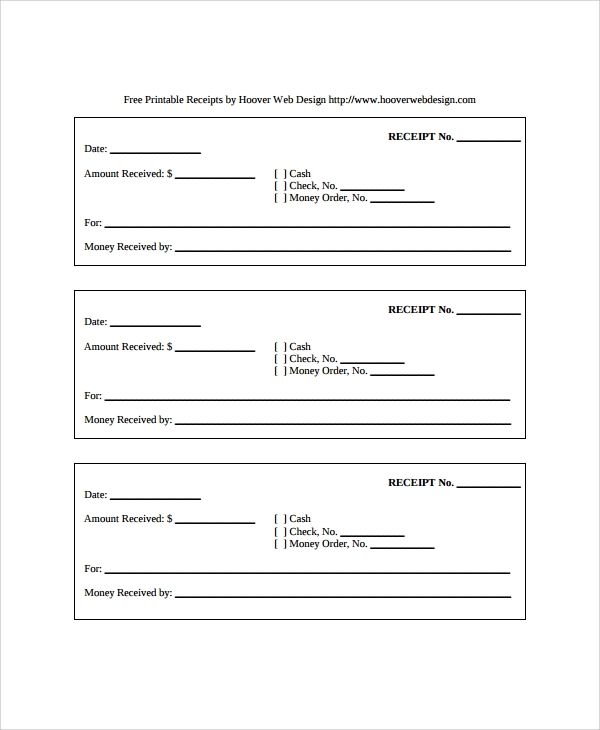 The free receipt template is just a free and easy to use version. This one combines just the essential fields and you may use this in many versatile ways use this for keeping track of personal payments, or for making your maid, plumber, electrician etc sign on it while getting payments. If you are getting or receiving a gift, then this one is to keep a proof of that in written. 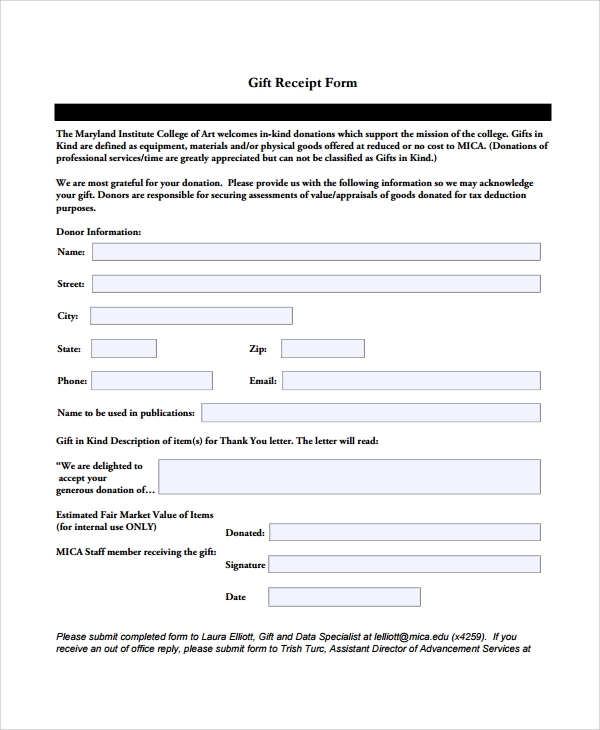 The gift receipt is mostly used in commercial purpose gifts, and not in personal gifting. For commercial places when you are offering something as a gift to a customer you may give it with this receipt to make things clear. 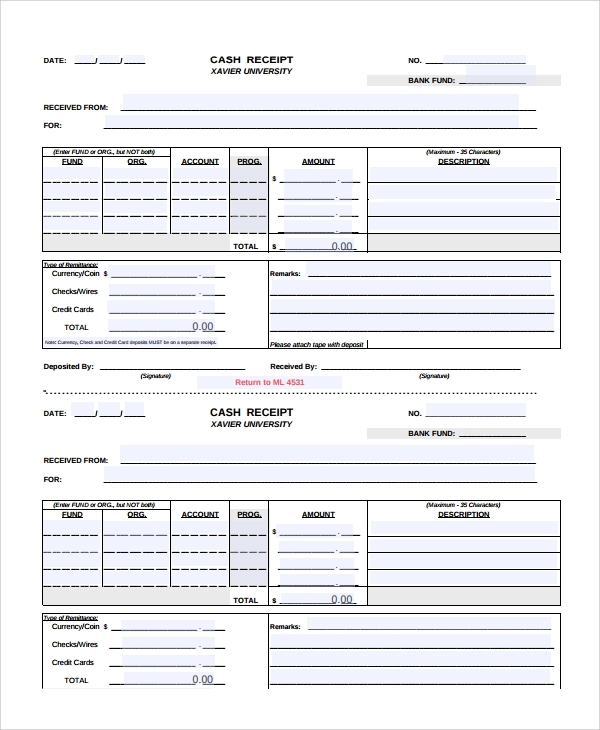 The hotel receipt template is the plain format which hotels would like to use to keep a track of payments. This one is given to customers making the advance, part or full payments. 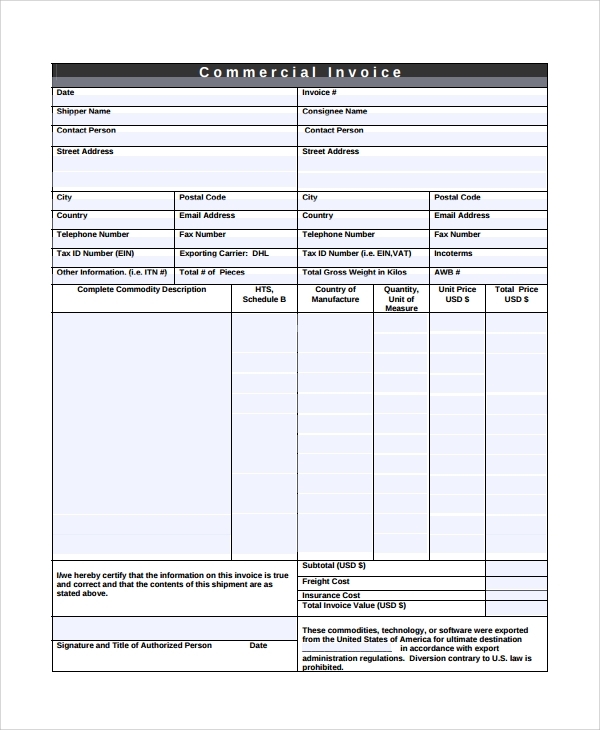 The invoice receipt template is one particular format used in shops, businesses, and merchant establishments, where daily or periodic invoicing is done, and on the same paper the receipt of money is also acknowledged. 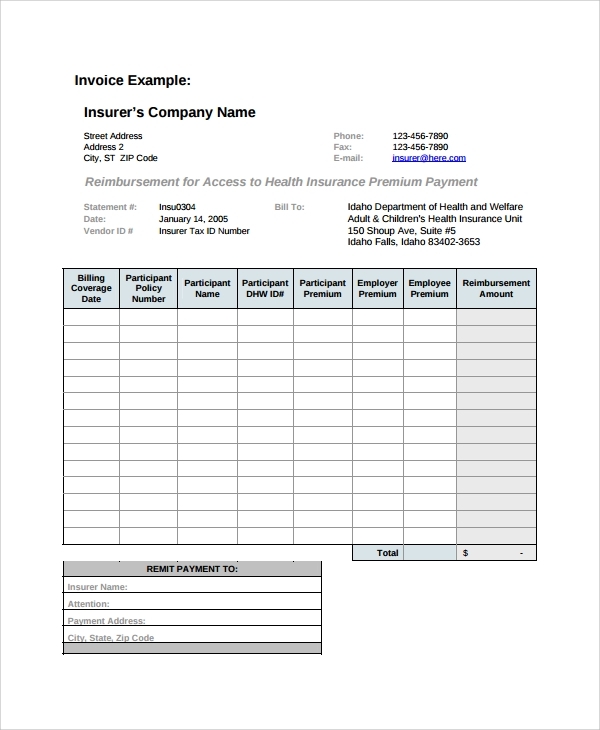 The insurance receipt template is for the insurance companies who would acknowledge the payment made by their customers through this format. This one shows the payment of premium from the customer to the company in details. 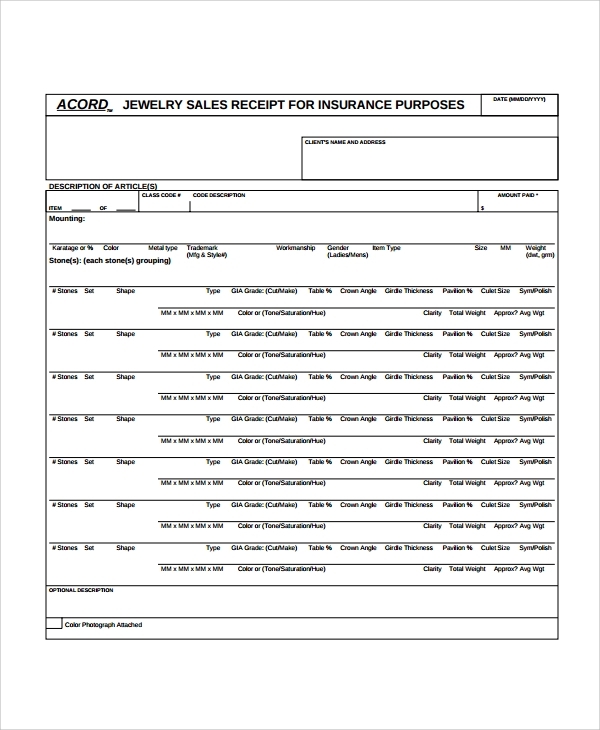 The jewelry receipt template can be used in many places. The first place is the jewelry shop, and next comes financial institutions that let you pawn gold and jewelry. In all such cases, when you receive the jewelry, you get a receipt with that, which is made in this format. 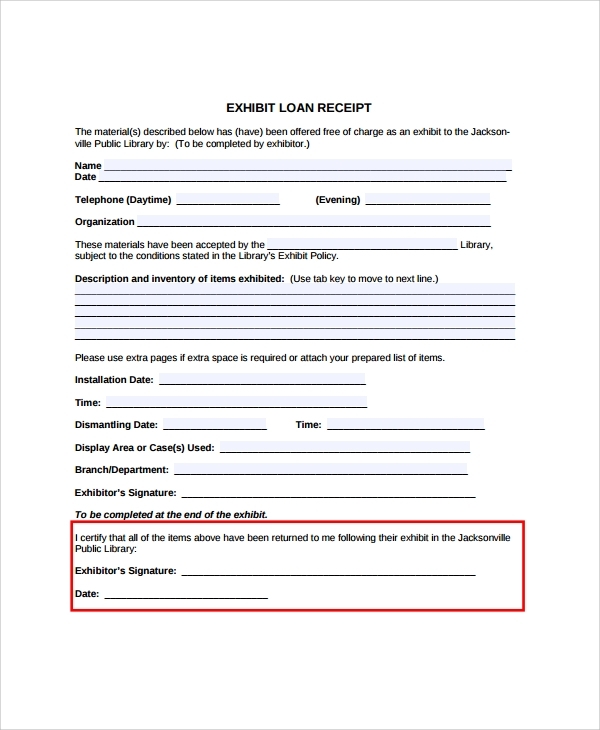 The loan receipt template is made to acknowledge the receipt of loans. When you are giving a loan to the customer then you must get this signed. As the company and the customer retain similar copies of the receipt, the proof of issuing loan is maintained. The legal receipt is one such standard format which will be legally acceptable. If you need to one such format, which will be legally okay to get presented anywhere, then this is the format. You may use the legal receipt for legal transactions too, like payment of an advocate or to the court, or for buying legal papers etc. What is the Role of Receipt Formats? 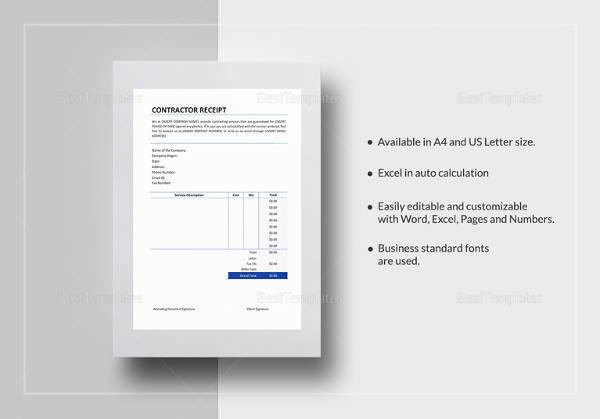 The receipt templates or formats have a special reason to get designed. Normally in a new startup, nonprofit, or organization etc, people go through various experimental phases. The receipt making is a vital job. But often people come across confusion that which value to keep and which one not to keep. There are many formats and styles available in normal market and shops, but the problem is that they all look extremely stereotypic in looks and fields, which make them, look so very cheap and silly. Again, designing something from the scratch is a pain for most startups. That is why to eliminate this designing part, and yet become the total gainer by getting a format, which will be your own with small personalization is the template. 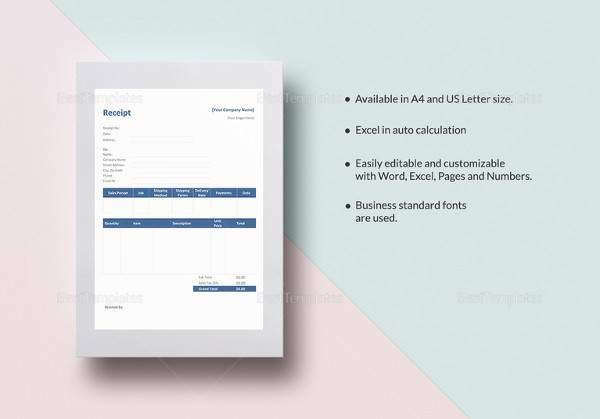 Receipt templates therefore plays a vital role in helping you get a ready receipt form and design, where you may add more fields, delete some, add business name and logo, and make it your own. Where Can You Use the Receipt Templates? Who Needs the Receipt Templates? 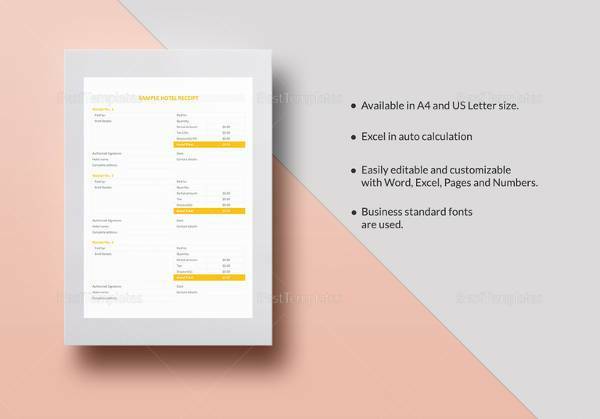 The receipt templates are needed by all who are going through a developmental phase in their business, startup, organization, institution or nonprofit. 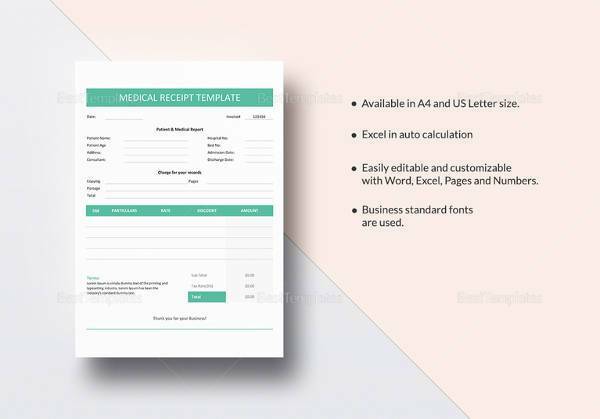 In any such place, where the official forms and formats are not ready yet, and they are making each one at a time by speculating the requirements, a receipt template can come into use. If you are in charge of one such place, and need a nice receipt template which will have certain important fields to define the purpose and type of payments to make or receive, then you should search for the same online. 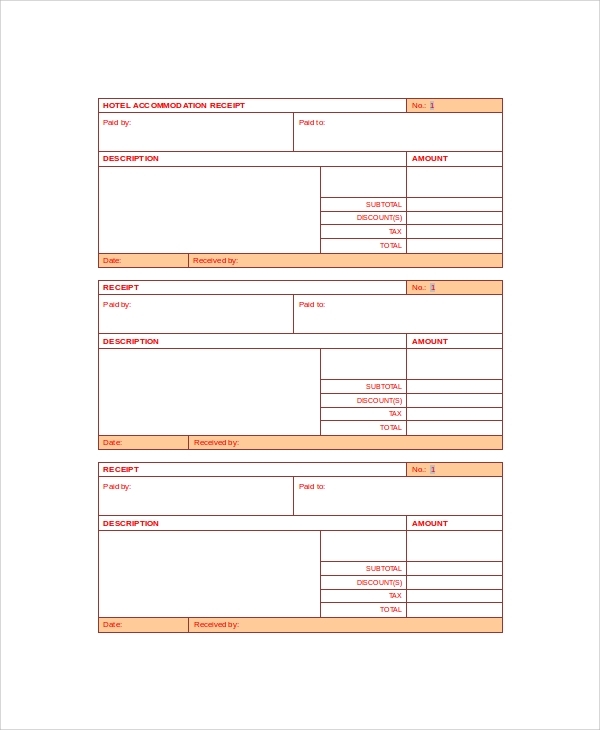 The online receipt template banks are full of various styles to suit common man’s and organizations’ needs. You must get one from them, and the customizing is easy. 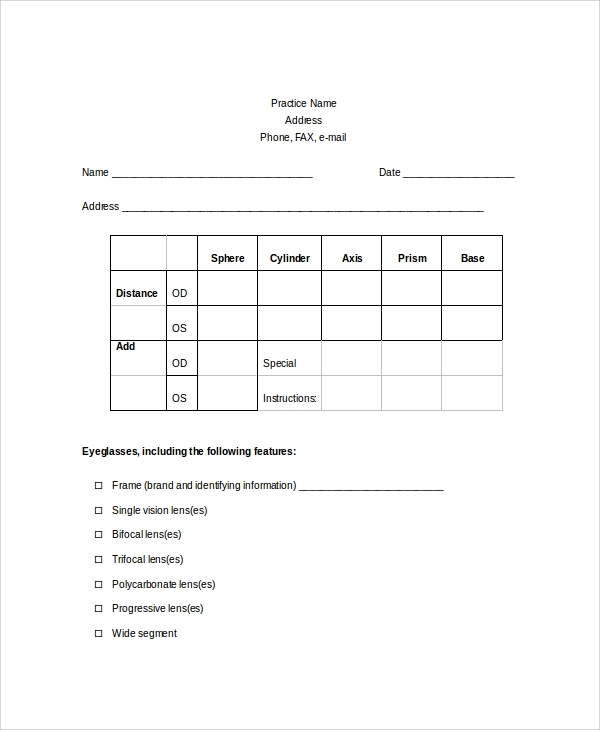 Any such business or organization can get a template for use to customize further in case they don’t have a well and good receipt format ready at hand. 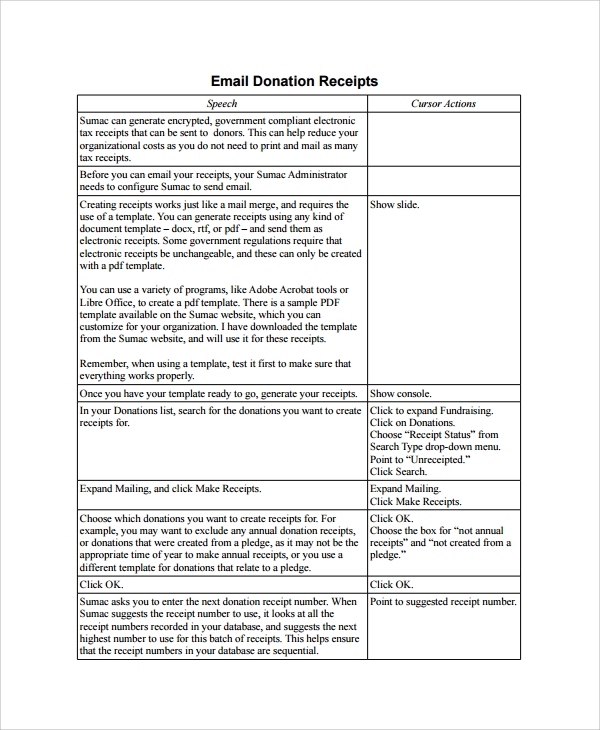 What are the Uses of Receipt Templates? These are available in many formats, the common ones being PDF and MS Word. Other formats are JPG, PNG, and Excel etc. If you are interested to get some templates for your shop or organization, then you must first decide the category you need to search for. Once you search as per category, you will soon get choices. Choose one and download. Then the next job is simply to personalize. As the receipt of a shop or organization or bank etc, first it will have to contain the name or label with full address of main office and branches if any. Next, it must contain the logo or style if any. You may add watermarks too. Next, see that it has all required fields or not. Delete any unwanted field, and you may add in that place something you need. Finally the setup is ready for print. Get a copy printed, and then show it to your local press to get bulk prints. That is how it works. The receipt templates are available online on receipt banks, and through the internal link anchor text for free downloads in most cases. Sometimes you may have to bear a very small fee for this. 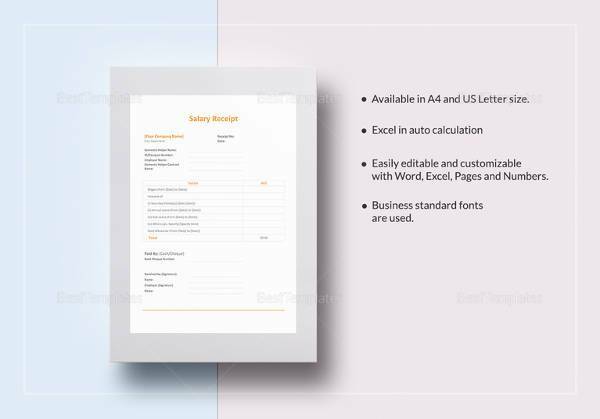 The best thing about using the templates is that you get a globally acceptable format to bring accuracy into the receipt design for your business or organization.